On 10 September 2015 the African Academy of Sciences (AAAS) and the New Partnership for Africa’s Development (NEPAD) Agency launched the Alliance for Accelerating Excellence in Science in Africa (AESA). The impetus for this initiative is to increase the capacity of African Scientists to conduct for scientific and health research in Africa. 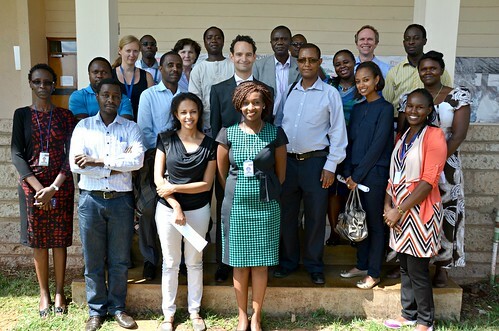 During the same week, the BecA-ILRI Hub kicked off its annual Advanced Genomics and Bioinformatics training workshop. The intensive 10-day training which runs up to Friday 18 September is among the four annual workshops designed by the BecA-ILRI Hub to address capacity gaps in agricultural biosciences research in Africa. Through this workshop, researchers from national agricultural research systems (NARS) in eastern, central and western Africa acquire skills that help them decipher the huge amounts of biological data that could translate to the more rapid solution of challenges to acquiring food and nutritional security on the continent. Julia Khayeli, a participant from the Jomo Kenyatta University of Agricultural Technology in Kenya said ‘I am very excited because I have finally made sense of the sequences I got from my research!’ In addition to deciphering her data, Khayeli had the opportunity to network with researchers from 12 eastern, central and western African countries. The workshop is being conducted in collaboration with the Swedish University of Agricultural Sciences (SLU) which has partnered with the BecA-ILRI Hub for the last nine years, providing access to technical advice and enhanced expertise from the institution and co-convening regional bioinformatics workshops. The BecA-ILRI Hub hereby invites applications for a workshop on scientific research paper writing to be held from 26-30 October 2015. The workshop is one of BecA-ILRI Hub’s annual training workshops under the capacity building portfolio, whose objective is to strengthen the capacity of African NARS to effectively, efficiently and sustainably deliver on their national mandates. The training will be conducted at the ILRI Campus, Addis Ababa, Ethiopia. • Currently conducting agricultural bio sciences research with an African national agricultural research program or university in one of the BecA countries: Burundi, Cameroon, Central Africa Republic, Democratic Republic of the Congo, Equatorial Guinea, Eritrea, Ethiopia, Gabon, Kenya, Madagascar, Republic of the Congo, Rwanda, São Tomé and Príncipe, Somalia, South Sudan, Sudan, Tanzania, Uganda. • Information to successful applicants: 24 September 2015- Applications submitted after the 18 September 2015 deadline and incomplete applications will not be considered. Attached is the concept note and information flyer for the workshop. Wednesday 5 August 2015 - The BecA-ILRI Hub staff and Africa Biosciences Challenge Fund (ABCF) fellows held a celebration in honour of Dr Gity Behravan, First Secretary – Regional Research Cooperation, at the Embassy of Sweden in Kenya. Through her oversight role in the BecA-Sweden partnership, Berhavan has been instrumental in the growth of the BecA-ILRI Hub’s capacity to empower African scientists and national agricultural research systems (NARS) to solve Africa’s agricultural challenges by strengthening research for development capacity in biosciences. The partnership which is funded by the Swedish Ministry for Foreign Affairs and the Swedish International Development Cooperation Agency (Sida) brings together partners from African NARS, private sector, international research institutes, foreign universities and the CGIAR to conduct research aimed at achieving food security and climate change mitigation. 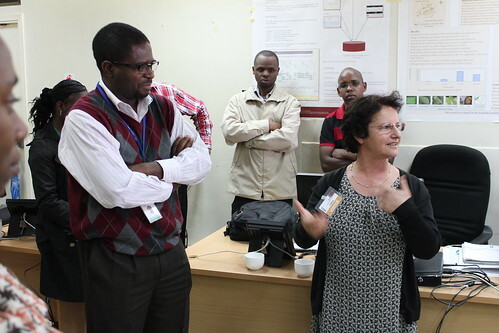 The partnership also provides financial support for the BecA-ILRI Hub annual training workshops and avails technical advice and enhanced capacity from Swedish University of Agricultural Sciences (SLU) to the bioinformatics platform. Berhavan who has been with the partnership since its inception in 2011 will be relocating to Stockholm Sweden. Through an alliance established with the BecA-ILRI Hub in 2014, the John Innes Centre (JIC), a world-leading international centre of excellence in plant science and microbiology, has now stationed one of their scientists, Tilly Eldridge in Kenya. The agreement between the institutions opens doors to new capacity building, resource mobilization and technology transfer activities between Africa and Europe. Tilly, a post-doctoral scientist from the UK, talks about her inspiration, aspirations and experiences as a pioneer in anticipated vibrant exchange of research experiences between UK and Africa. I have always wanted to spend part of my career contributing to the advancement of research for agriculture in Africa. I first heard about the Biosciences eastern and central Africa-International Livestock Research Institute (BecA-ILRI) Hub when I was entering the final year of my PhD studies and started enquiring about opportunities to work in Africa. It was not long after this that Jagger Harvey, a BecA-ILRI Hub scientist, visited the John Innes Centre (JIC) where I was and gave a very good presentation about the BecA-ILRI Hub. 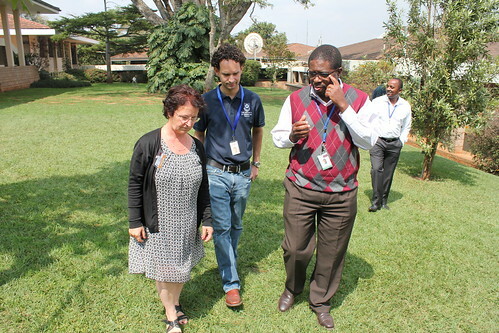 Listening to Jagger talk made me feel that the BecA-ILRI Hub was the perfect place for me to fulfil my ambitions. The institute has an excellent scientific reputation and ground breaking policies in capacity building. The completion of my PhD at JIC in October 2014 was perfect timing since the JIC-BecA alliance collaborations had started to gain momentum and I had an opportunity to get involved. For my own research, it is really empowering to not just be focussed on getting that next important result but to also be part of capacity building for African scientists. I think that many students and post-doctoral scientists from JIC would benefit greatly from spending time at the BecA-ILRI Hub and vice versa. Wheat provides over 20% of the calories and protein consumed by humans. As the world population continues to increase, the sustainability of wheat yields must be improved by minimizing losses produced by pathogens. Wheat yellow rust, caused by Puccinia striiformis f. sp. tritici, is one of the most devastating diseases of wheat worldwide. To address Food Security new tools are needed to combat this devastating disease. The project has an unprecedented opportunity to make a major contribution to the development of new breeding lines with improved resistance to wheat yellow rust. The studentship builds upon previous research that laid the foundations for this project by creating a host of resources that can be utilized right from the start. This includes mapping populations for resistance genes which are effective across many wheat growing environments, cutting edge molecular techniques as well as the latest genomics resources available in wheat. The project aims to characterise these resistance sources and generate closely linked genetic markers to enable deployment of these genes into African breeding lines. The project will train the student in a set of skills that cover all aspects of modern plant molecular breeding, including bioinformatics skills, and will thus provide the student with an excellent foundation for their future. The student will come into a highly dynamic and multi-disciplinary group that uses the latest technologies in gene discovery and translation to breeders. They will form part of the Norwich Rust Group composed of seven research groups working on rust fungi and will we welcomed into a larger international project with partners across Europe, Africa and South Asia. This will provide the student with an extensive scientific network. The student will also learn more widely applicable skills like teamwork, science communication and presentation as well as long-term planning skills. The applied nature of the project also means that the student will have to frequently interact with breeding companies, giving the student an insight into the commercial side of plant breeding. This 4-year John Innes Centre Science for Africa studentship is available to successful candidates who meet the eligibility criteria of the studentship. Below is the link to the studentship eligibility guidelines which all candidates should check to confirm their eligibility for funding. Candidates must be nationals of and ordinarily resident in a Sub-Saharan African country. The current stipend for 2015/6 is £14,057 per annum. 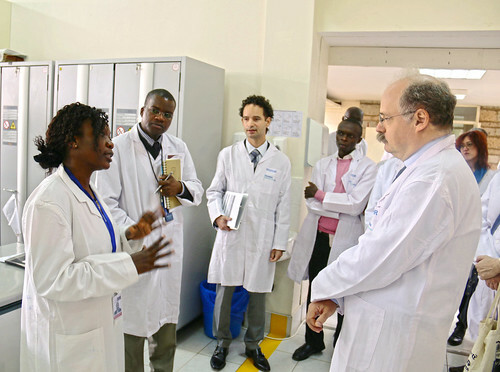 As part of its capacity building program, the BecA-ILRI Hub will hold a training workshop on Principles of Laboratory Management and Equipment Operations Training Workshop at the Rwanda Agricultural Board, Rubona Centre in Rwanda on the 15 - 19 June 2015. All those interested should fill and submit the online application available at: http://hpc.ilri.cgiar.org/beca/training/Applications/labmanagement2015/ No other mode of application will be accepted. The online application form must be submitted by mid-night, 8th May 2015 (Nairobi time). Successful applicants will be notified by 15th May 2015. For further clarifications/ inquiries on the workshop, please contact us. The BecA-ILRI Hub capacity building program is branded The Africa Biosciences Challenge Fund (ABCF).The ABCF program operates in the critically important intersection between agricultural research and development (ARD), food security, and individual and institutional capacity building. The ABCF program is delivered through i) a visiting scientist program (the ABCF fellowship) targeting scientists and graduate students from African national agricultural research organizations and universities to undertake biosciences research-for-development projects at the BecA-ILRI Hub, and ii) annual training workshops to support the acquisition of practical skills in molecular biology, genomics, bioinformatics, laboratory management, laboratory safety, equipment maintenance, and scientific writing. The purpose of the ABCF fellowship program is to develop capacity for agricultural biosciences research in Africa, to support research projects that ultimately contribute towards increasing food and nutritional security and / or food safety in Africa, and to facilitate access to the BecA-ILRI Hub facilities by African researchers (and their partners). We seek applicants with innovative ideas for short to medium term research projects (up to 12 months) aligned with national, regional or continental agricultural development priorities that can be undertaken at the BecA-ILRI Hub. 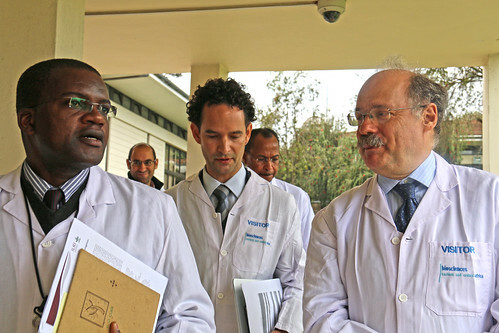 Special opportunities also exist to connect with leading international scientists linked with the BecA-ILRI Hub in the following areas: wheat rusts, insect pests, and nitrogen fixation. Other special opportunities exist to connect with CGIAR Research Programs (CRPs): Livestock & Fish, Agriculture for Nutrition & Health, Humid tropics etc. Such collaboration would allow the candidate’s research to contribute more directly to an impact-oriented research-for-development agenda, and offer additional opportunities for joint activities. Nationals (passport holder) of a BecA-ILRI Hub target country: Burundi, Cameroon, Central Africa Republic, Congo Brazzaville, Democratic Republic of the Congo, Equatorial Guinea, Eritrea, Ethiopia, Gabon, Kenya, Madagascar, Rwanda, São Tomé and Príncipe, Somalia, South Sudan, Sudan, Tanzania and Uganda. In exceptional cases we may consider applicants from other African countries. A researcher at a national agricultural research organization or university in a BecA-ILRI Hub target country. MSc or PhD holder in biosciences, agriculture or related subject. A signed letter of approval of the application from the head of your institute / organization/ university faculty. Please note that BecA-ILRI Hub-funded fellowships do not cover the cost of fieldwork or research at the applicant’s home institute. Applicants who can fund their own research (either fully or partially) will have added advantage. For any inquiries / clarifications related to this call, please send email to: w.ekaya (at) cgiar.org. Responses to inquiries/clarifications will close on 27th February 2015 mid-night (East African Time). Closing date for applications: March 31st 2015. Notification to early applicants will start from March 1st 2015. The notification process will be completed by April 30th 2015 (indicative date depending on volume of applications). Implementation of projects: projected start time is end May 2015. Details of successful applicants will be posted on the BecA-ILRI Website on a continuous basis until completion of the review process (indicatively 30th April 2015). The ABCF Research Fellowship program is supported by the Australian Government through a partnership between Australia's Commonwealth Scientific and Industrial Research Organization (CSIRO) and the BecA-ILRI Hub, by the Syngenta Foundation for Sustainable Agriculture (SFSA), the Bill & Melinda Gates Foundation (BMGF), and the Swedish Ministry of Foreign Affairs through the Swedish International Development Agency (Sida). From 17-18 February 2015, the sixth Partnership for Aflatoxin Control in Africa (PACA) Steering Committee Meeting made site visits across Africa to engage with regional stakeholders and learn about each country’s efforts to mitigate aflatoxin. Among the sites visited was the BecA-ILRI Hub in Nairobi Kenya which hosts a number of continental initiatives towards the control of aflatoxin contamination of maize including the Storage and Drying for Aflatoxin Control Project (AflaSTOP). 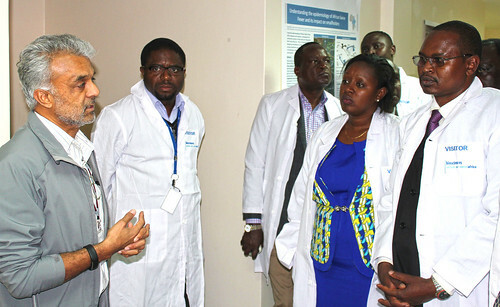 The Steering Committee members appreciated the state-of-the-art laboratory facilities and the result-oriented regional efforts at BecA-ILRI Hub and the progress being made by the AflaSTOP project. An article published in the PACA newsletter of February 2015 following this visit, highlights the BecA-ILRI Hub's support to many African scientists and their partners in amplifying their efforts to improve nutritional security and food safety in sub-Saharan Africa (SSA). 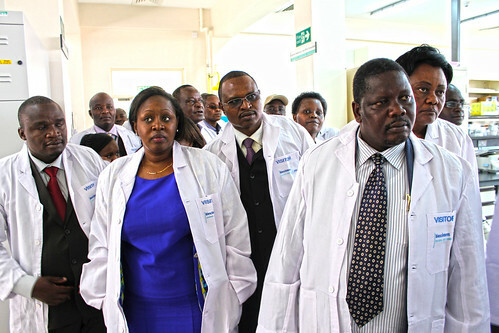 Following stakeholder consultation and analysis, the BecA-ILRI Hub aflatoxin research team, through an Australian government funded partnership with the Commonwealth Scientific and Industrial Research Organisation (CSIRO), established a shared research and capacity building laboratory and team of experts to fill the gap caused by a scarcity of laboratories equipped to adequately tackle the issue of aflatoxins in the region. Since its establishment in 2011, the platform has hosted work of more than sixty researchers, from seven African countries, Australia, Europe and North America. Collectively, the community around the laboratory has made initial assessments of aflatoxin contamination in a number of African countries, conducted the first inoculated field trials in the region to identify maize varieties less susceptible to aflatoxin accumulation, developed models estimating aflatoxin risk at harvest, and produced a range of other important findings and tools which are beginning to reach end users to help ensure safer food and feed for Africa. A further dimension of vibrancy and capacity has been infused by the range of other projects currently hosted in the laboratory. 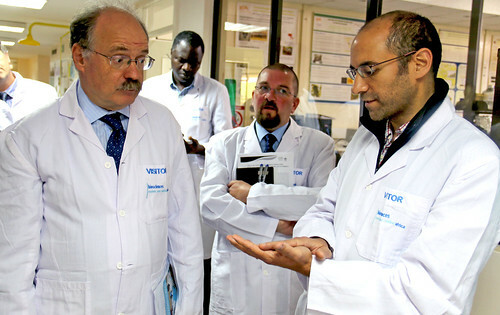 These include the AflaSTOP project, led by Sophie Walker, ACDI/VOCA and Agribusiness Systems International; the Aflatoxin Proficiency Testing for Eastern and Central Africa (APTECA) project, led by Tim Herrman, Professor, State Chemist and Director, Texas A&M Agrilife Research, which has achieved ISO 17025 accreditation of aflatoxin testing in the BecA-ILRI Hub lab; the MyDairy project in collaboration with Professor Erastus Kang’ethe, University of Nairobi and various CG Research Programs Agriculture for Nutrition and Health projects led by Dr Delia Grace (ILRI); and a number of others led by researchers from African institutes. The decoding of the tsetse fly’s genome to reveal the genes responsible for its peculiar reproductive and feeding habits opened up new frontiers in dealing with the devastating trypanosome parasite it transmits. The tsetse fly is the sole vector for the parasite which causes sleeping sickness in people and livestock putting an estimated 70 million people in sub-Saharan Africa at risk every year and rendering livestock keeping almost impossible in some parts of the continent. Unlike other insects, tsetse fly females get pregnant with a single young which is nourished and develops inside the body of the parent with "milk" secreted from special glands. Only eight to ten are produced during the lifecycle of a female tsetse fly, compared to the thousands of eggs laid by a female mosquito over her life span. These insects also rely on proline, an amino acid that is a constituent of most proteins, as their source of energy unlike other insects which utilize different forms of carbohydrates. 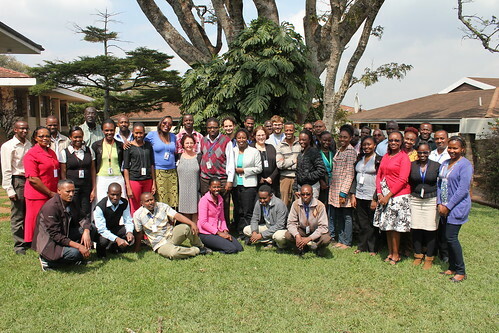 From 15-21 March 2015, a team of scientists from across the world are gathered at the Biotechnology Research Institute-Kenya Agricultural and Livestock Research Organisation (BRI-KALRO) to compare the genomes of five tsetse species and determine the genetic factors responsible for their peculiar nutrition and reproduction as well as their vectorial capacity. The workshop to give in-depth meaning to the genome sequences of tsetse flies was convened by the Yale School of Public Health (YSPH) and BRI-KALRO, in collaboration with the Biosciences eastern and central Africa -International Livestock Research Institute Hub(BecA-ILRI) Hub; African Insect Science for Food and health (icipe); the Center for Biotechnology and Bioinformatics –University of Nairobi (CEBIB-UoN); and South African National Bioinformatics Institute (SANBI). The scientists including Lorna Jemosop from Kenya, Tania Bishola from the Democratic Republic of Congo and Abraham Mayoke from Congo Brazzaville whose participation was facilitated by the BecA-ILRI Hub, are annotating the genes associated with chemosensation and vision, immunity, reproductive physiology, horizontal transfer events, digestion, salivary biology, regulatory systems and more. 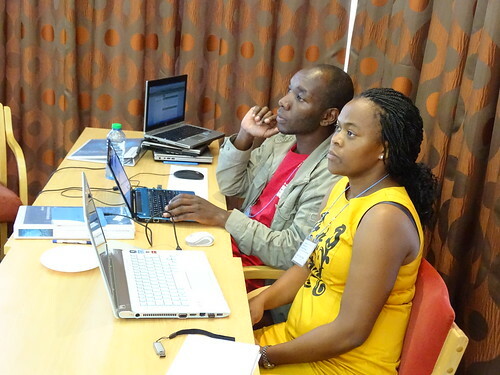 The hands-on annotation efforts are being accompanied by topical lectures on the different physiologies given by experts in these fields including BecA-ILRI Hub bioinformatics post-doctoral scientist, Mark Wamalwa.